Sweet meets spicy when you start with cinnamon apple herbal tea and add brown sugar, cherry syrup and fresh fruit. 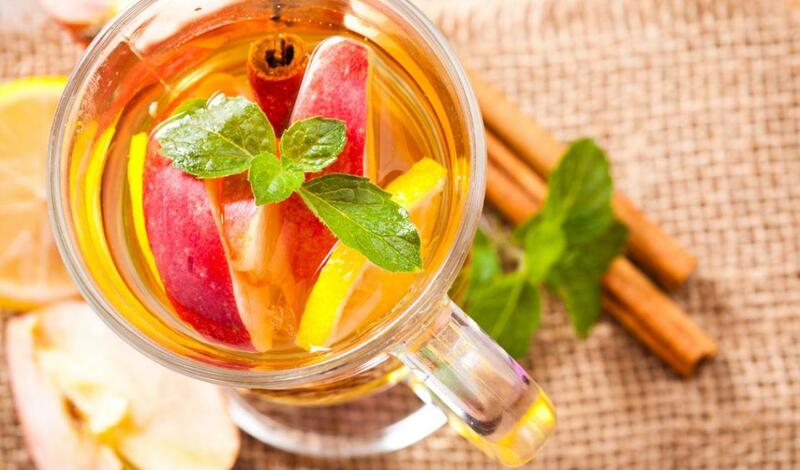 In a teapot, pour boiling water over Lipton® Cinnamon Apple Flavor Herbal Tea bag; cover and brew 5 minutes. Remove tea bag and add brown sugar and syrup. Garnish with apple and lemon slices.